Enjoy the McCafe experience at home with the rich aroma and delicious taste of this 100% Arabica coffee. Premium Roast Blend is the same reliable, balanced taste as the coffee you love at McDonald's. 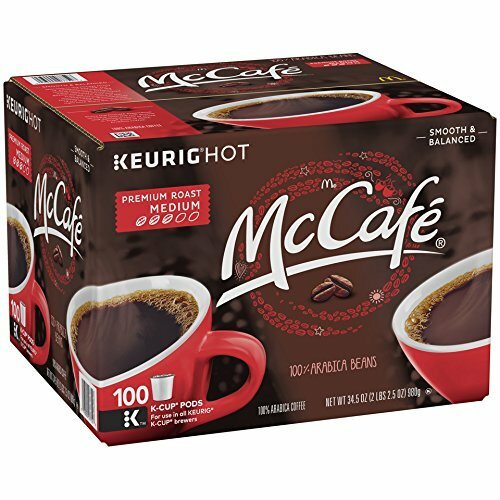 For use in all KEURIG K-CUP Brewers, this box contains 100 single-serve K-Cup pods. If you have any questions about this product by McCafé, contact us by completing and submitting the form below. If you are looking for a specif part number, please include it with your message.